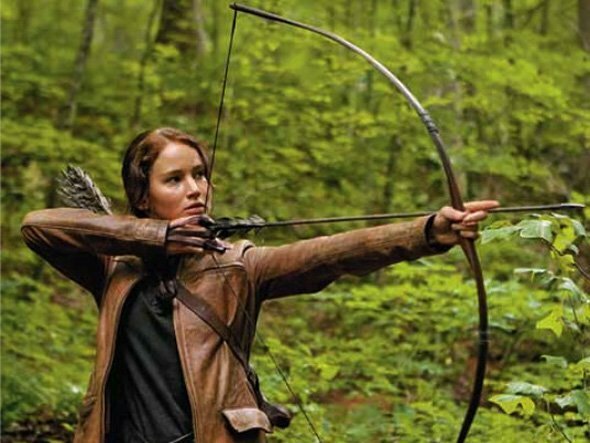 Check out this cool shot of Jennifer Lawrence as the heroine Katniss Everdeen with her bow from THE HUNGER GAMES. The film stars Josh Hutcherson, Woody Harrelson, Elizabeth Banks, Liam Hemsworth, Donald Sutherland, Stanley Tucci, Lenny Kravitz and is scheduled to hit theaters on March 23rd. So what do you think about this cool image of Lawrence in full character mode?